NOTE: Three providers mean some gaps in how one pays for and uses WiFi in the long run, e.g. monthly passes, at least for now. You can always access aa.com for free during your flight. ViaSat Ka band satellite-based WiFi under installation in ~500 AA narrowbody aircraft, and comes “out of the box” on AA 737 MAX 8 aircraft. “Gate to gate” offered. Gogo cellular telephone dependent WiFi (being phased out to Gogo 2Ku band satellite Wi-Fi for many flights within the continental U.S. and southern Canada, on legacy US Airways Airbus A320 family of aircraft). Available above 10,000 ft MSL (Ku at any time). On the wane, as over 400 aircraft will be converted to ViaSat. Link to Gogo 2Ku page. Panasonic ExConnect Ku band aeronautical satellite network -based WiFi on most widebody international aircraft. Blacked out over China. • 757-200 Hawaii MCE retrofit: ? WiFi based onboard server-based streaming in flight entertainment (IFE) is being added to hundreds if aircraft, making AVOD streaming to your personal device the norm (as opposed to seatback flatscreen entertainment options). T-Mobile - Will register as T-Mobile WiFi. WiFi texting works. Unknown about WiFi calling, but didn't want to chance it. ViaSat WiFi on LAX-JFK and I once again got the same error message I posted before about streaming not working.....WTH? theres still seatback AVOD on this route but AA needs to get its act together with this streaming product. For those looking to use AAs inflight WiFi when Panasonic is the equipement on board try CPH Travel Wifi which offres 1,3 and 6 months unlimited passes starting at €10. They did not allow US credit cards previously but I think this is now fixed. Worth a check anyway as the pricing is supper competitive and you get access to long haul inflight on some airlies and on ground WiFi when you land also. So I feel the ViaSat conversion has been really accelerating in the past few weeks. A couple of notes. The Viasat internet does allow you to switch between devices if you have purchased under a login. There are no day passes/multiple flight options yet. The Gogo account partner sharing is fascinating as Viasat has no subscription program on its own yet. It is gate to gate. I think it would need to be a little more price competitive, but that will have to wait to see what happens with supply/demand. Again, Southwest has offered a better value option here. I am not sure how many people kept the no longer available $40 monthly AA gogo plan that was offered with annual payment. It was supposed to be discontinued many times. Have been on a 767 x2 in the past week that, allegedly, had the Panasonic Viasat WiFi & while the WiFi symbol showed on my iPad & it looked like the network was connected in my settings, could never get it to actually work-absolutely nothing happened, even after rebooting, when I typed in the aa.viasat.com address in the browser. Any ideas, tips, suggestions are greatly appreciated as I’m on the same plane again next week. I used to have Gogo passes from my Credit Card. Since I travel monthly on the transcon route I could just use the Gogo passes for a good value. However a few days ago when I boarded a 321T I found the Wi-Fi to be converted to Viasat, which asks $16 for the entire flight. I know it’s not a bad price, but not as good either given that I won’t use Wi-Fi as much since on most tcon flights I tend to sleep more and connect less. The free passes are great (even if you buy these passes on eBay they get you 10ish for like 40 dollars). But $16 for like around 2 hours of connectivity? Not quiet. Two A321Ts (of 17) have been converted to Viasat: N102NN and N103NN, according to the unofficial AA fleet site (link in Wikipost at top of page) A321T listing. My flight was on N101NN but I got Viasat, so I think the site might not be real time. I’m sure it’s not. Thanks for the addition. N110AN has also been converted to ViaSat. Thanks. I’ve added these to the Wikipost, but this is implying maybe more have been converted to Viasat. I used the service on a recent LAX-JFK flight. I had no problem connecting and paid $16 for service for the full flight. 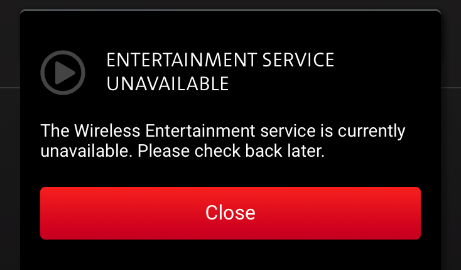 It was a lot faster than gogo, but about half the time I received an error message that the wifi service was not available. I submitted a complaint through their website. Will report back when I hear from them. The 767’s don’t have ViaSat, they have Panasonic. The website is the aainflight.com website. I initially had issues with the 767 WiFi when it was first rolled out but they’ve subsided from what I can tell. I’ve had issues with ViaSat WiFi like 85% of the time including streaming entertainment not working.....really not good since this is what AA will be forcing us to deal with for entertainment domestically. I"ve had this problem with viasat continually and as recent as using it yesterday on a 32B ord-dfw. Once you hit 10K or above the initial log on is fine and works. I then lose the connection at sometime during the trip and try to re log on but no dice and will not happen. All I get despite seeing the wifi fan symbol is "you are not online" or similar message. Viasat is junk.